Dendritic Cell (DC) Vaccine therapy represents an effective immunotherapeutic approach for treatment of advanced cancer as well as for prevention of cancer. As Dr. Harmon Eyre, the VP of Research at the AMA commented: “Patient’s responses are far out of proportion to anything that any current therapy could do”. Dendritic Cell (DC) Therapy or Dendritic Cell Vaccine is a potent form of immune therapy used to treat cancer. Although dendritic cell are potent cells, they are not usually present in adequate quantity to allow for a potent immune response. Dendritic cell therapy thus involves the harvesting of blood cells (monocytes) from a patient and processing them in the laboratory to produce more active dendritic cells which are then given back to a patient in order to allow massive dendritic cell participation in strengthening and activating the immune system. 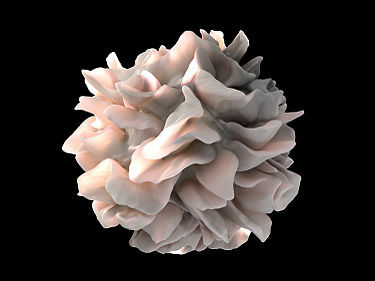 Dendritic cells are a type of antigen-presenting cell (APC) that have an important role in the adaptive immune system. The main function of dendritic cells is to present antigens to the other immune system cells. Only the dendritic cells have the capacity to induce a primary immune response in the inactive or resting T lymphocytes or T cells. To do this, the dendritic cells capture the antigens from invading diseases, which they then process and present on their cell surface, along with the necessary co-stimulation molecules to the T cells. Dendritic Cells also contribute to the function of B cells and help maintain their immune memory. After an initial antibody response has occurred due to an invading disease, dendritic cells found in the lymph nodes contribute to B cell memory by forming numerous antibody-antigen complexes. This provides a long lasting source of antigen that the B cells can take up themselves and present to the T cells. Once activated, dendritic cells move to the lymph tissue to interact with T cells and B cells and help shape the adaptive immune response.